Hello everybody ! In this post I wanna tell you about my growing obsession with...skulls ! They seem to be everywhere and I like it, I am sure some of you don't like this trend and I personally know a few people that look at me with weird faces when they see me wearing skull print scarves or a t-shirt with a smiling skull printed on it, instead I like them, maybe they remind me of my afternoons watching "Creep show" on tv !!!. It's funny but when I was a kid I wasn't as scared of horror movies as I am now, LOL !. Ciao a tutti ! In questo post voglio parlarvi un po' della mia crescente mania per...i teschi ! Ormai sono dappertutto, di sicuro parecchi odiano questa moda, ci sono un paio di persone che conosco che mi guardano orripilate quando mi vedono indossare sciarpine o t-shirt con la stampa raffigurante un teschio sorridente, invece a me i teschi piacciono, forse mi ricordano i pomeriggi da bambina trascorsi a guardare "Zio Tibia" in tv !!!. E' buffo ma quando ero piccola adoravo i film horror e non avevo la paura che ho invece adesso :-). ma che vestito carino!! mi piace davvero molto questo outfit!! e AMO i tuoi occhiali da sole!!! ovviamente bracciali e anelli sempre al TOP!!! Ma che carino!!!! Stai proprio bene con tutti quei teschietti! Ma dove sei in queste foto che mi hai fatto venire la bava? Ho una sola maglietta con dei teschi semplicemente perché... non mi ero accorta che ci fossero! I don't like skulls at all but I like your outfit! Gorgeous! non sembra ma ho allargato le immagini ed è davvero una fantasia di teschietti! al ready following you dear!! Love your shoes......& your ring! I don't like skulls but this scarf looks amazing! Love your accessories and the dress! io invece nn ho niente contro i teschi e questo abitino ti sta benissimo!Mi piace! Looking great, love your dress and shoes! first off you look amazing..loving your dress. And yes I'm following I even stop following you and follow you again just to make sure I'm there...can you double check your followers and let me know if you can see me now..
oh, i think you have a lot of money. your dress is love! you look amazing, dear! Molto bello il post e la location.. Per quanto riguarda la skull scarf sono stupende e non ho fatto a meno di non ordinarla una sul sito della Mcqueen! thaks so much for the sweet coment in my blog!!! alredy following u, for sure!!! love your blog, the pics, and your style. ciao! partecipi al mio giveaway? in palio una t-shirt fake chanel! love the prints on the scarf! :) reminds me of the a.wang one. thank you for that compliment!! and we love the name of your blog a lot!!! Unfortunately cause of Blogger problems I lost loads of comments to this post ! :-( I was hoping they'd be restored ! So I am sorry if I didn't get to reply to you on time ! Thanks for commenting to everyone and hope to hear from you soon ! 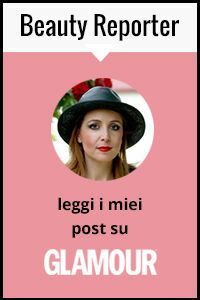 Mi spiace ma a causa di problemi tecnici di Blogger ho perso diversi commenti a questo post e quindi se non vi ho risposto è per questo motivo ! Speravo venissero ripristinati ! Grazie per i commenti a tutti e spero di leggervi presto ancora ! Love the look! Cute blog. Thanks for the comment!! Great blog- i love the beach feel!! This is sooooooo cute! The little skulls on your dress:) Loved it! And what a great weather, eh?! I can't wait for some warm weather here in Vancouver. You look amazing and so chic! Tanti baci bella! Thanks for the lovely comment, following you now. I love the dress...the print is so perfect and your accessories are just perfect..Looking gorgeous doll. I like how the skull pattern is on a really pretty feminine dress! i really love your blog... every post is fantastic and you have really great style! Thank you for following my blog I'm following you now! I love this post! I LOVE skulls and Im loving your dress!! I want it soooo bad! I love your dress and scarf!! Such a great outfit!! You are so cute!! Vale, thank you for your sweet words. I am following now as well! I don't think I will do skulls, not because they scare me or anything, I just think it's out of my style. But this look is great for you! cute dress and jewels, girl!